A deliciously moist vanilla cake layered with a rich and fudgy frosting. Free of dairy and eggs, with a gluten free alternative. This week was my hubby, Rafael’s, birthday. He’s a lot like me and likes to keep things low-key. A family day playing video games with the kids and watching movies together was all he wanted. The only thing he mentioned specifically wanting were Apple AirPods. He’s been talking about them for months. I, only half-joking, told him he’d have to buy them for himself because I just couldn’t bring myself to spend almost two hundred dollars on something so frivolous. I mean, there’s definitely no shortage of earphones lying around the house from the many iphones we’ve had over the years! There’s also something in me that just has to keep an element of surprise when giving gifts. I try to be very thoughtful when picking out a gift for someone and it’s nice to see the excitement on their face when they open up their gift to find something they’ve really been wanting. It’s kind of hard to surprise someone when they only want one thing! I had gotten them earlier in the week and was hiding them in the closet, waiting for the perfect opportunity to really surprise him. At the end of the day, we started cleaning up all the opened packages from his presents and I nonchalantly handed him a plastic bag to put all of the boxes in. He grabbed it and as he opened the bag to put stuff inside, he did a double take as he saw a little white box resting at the bottom. I finally surprised him and the joy and excitement that lit up his face was well worth the wait! A delicious and moist vanilla cake layered with a rich and fudgy frosting. Free of dairy and eggs, with a gluten free alternative. Preheat oven to 350F. Combine 2 cups milk with vinegar and set aside to sour. Grease three 8-inch pans or four 6-inch pans and line the bottom with a parchment paper circle, cut to fit the pan, and then grease the parchment paper circle. I don't recommend skipping this step or your cakes could stick to the bottom of the pan. Set pans aside. Alternatively, you can line a cupcake pan with paper liners. In a large bowl, mix together dry ingredients—flour(s), sugar, baking soda, baking powder, & salt until well combined. Mix in oil, vanilla, and sour milk with a whisk or mixer and beat just until blended and smooth. Don't over-beat. Evenly distribute the cake batter into the three pans and place onto the middle rack in the preheated oven. Bake for 20-30 minutes, or until center is set and a toothpick inserted comes out with a few moist crumbs. Cake/cupcakes will be pretty light in color. More or less time may be needed depending on your oven. Let cakes cool for several minutes in the pan before inverting onto a cooling rack to cool thoroughly. Cakes are the easiest to frost when they are wrapped in plastic wrap and frozen overnight. I piped a reverse shell border with the remaining frosting using a piping bag and a Wilton 1M tip, but a border isn't necessary if you don't have the materials. Sprinkle the top of the cake with colorful sprinkles . Hi Mels! That should work, although it will change the color and the flavor of the cake. I also find that coconut sugar isn’t as sweet as cane sugar so maybe taste the batter to see if it’s sweet enough for your liking. Please let me know if you give it a try with those changes! Made the gluten free version today for a friend who hasnt had cake since going vegan a few months ago. Tried 3 other recipes which failed by being too dense or was too dry. This recipe was beautiful. Cake came out fluffy and moist like regular cake..even after cooling on rack for an hour! I only made 2 layers and had enough batter leftover to make a sample cake for my family who are not vegan. They didnt even realize it was vegan and gluten free!! Thank u soo much for sharing this recipe and giving me hope that vegan baking is just as delicious as regular stuff!! Lyssa, this makes me very happy to hear! I’m so glad you enjoyed this cake! It’s definitely one of our faves and we usually make a variation of it for any and every occasion. 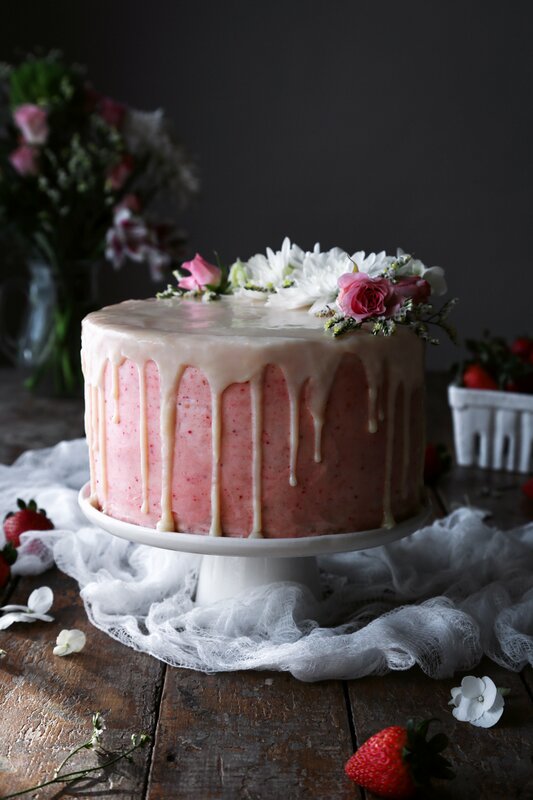 There are a few versions here on the blog that have the same cake recipe with different frostings if you’re ever interested (here: http://www.wifemamafoodie.com/vegan-vanilla-cake-with-strawberry-buttercream/ and here: http://www.wifemamafoodie.com/vanilla-layer-cake-with-fresh-berries/) Thank you for taking the time to leave feedback! Have a wonderful day!! YUM – my favorite kind of cake! I’ll have to give this one a try sometime! This looks amazing! You did such a good job. Saving for later! What a fun birthday surprise — sounds like the giving was as fun as the receiving! Love this beautiful cake – your photos are amazing! Thank you Patricia. It was so much fun! I hope you have a lovely weekend! Your cake looks divine. I love how you surprised your husband and kept the element of surprise until the end of his special day! Hi Lisa! Haha, yes he loved being surprised. I really got him Thanks for the kind words! Have a lovely weekend! That looks absolutely amazing! My best friend is vegan, so I’m bookmarking this to surprise her with it on her birthday! Hi Lisa Marie! Thank you for the encouragement and for bookmarking the recipe. I hope you all enjoy! Please let me know if you have any questions as you get ready to bake this. Have a wonderful weekend! Thank you Nicole. Happy Friday! OMG Amazing!! Its looks yummy. Thanks for sharing every tips and all the ingredients with us. Can’t wait to try. My children would loved it. I can’t believe this is vegan! This looks so delicious. This is the perfect birthday cake! Your layers are gorgeous and I love that fudgy frosting! 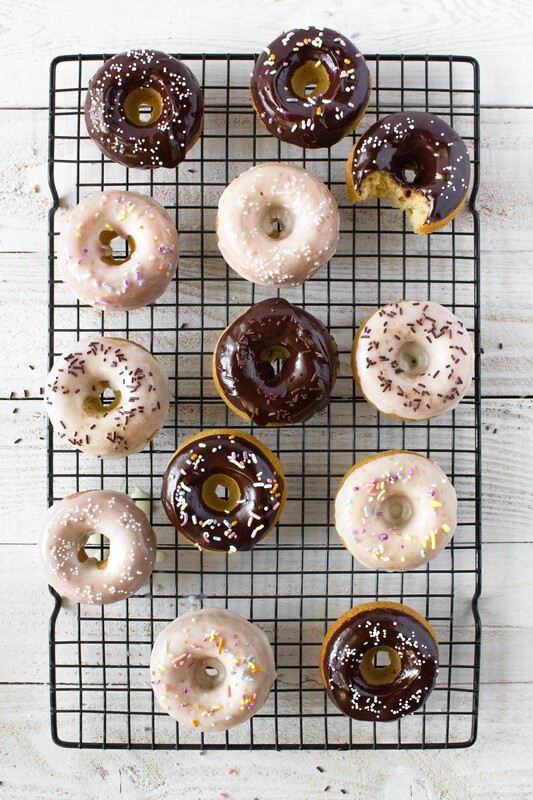 That cake looked amazing, I bookmarked your blog for all the vegan baking goodness on here! Aw thank you Kate! I appreciate your kind words!